Now that the 2017 Corvette Grand Sports are starting to roll into dealerships and the manual transmission is still on constraint preventing dealers from ordering them, Car and Driver managed to get their paws on a manual transmission equipped Grand Sport and the test results are interesting. 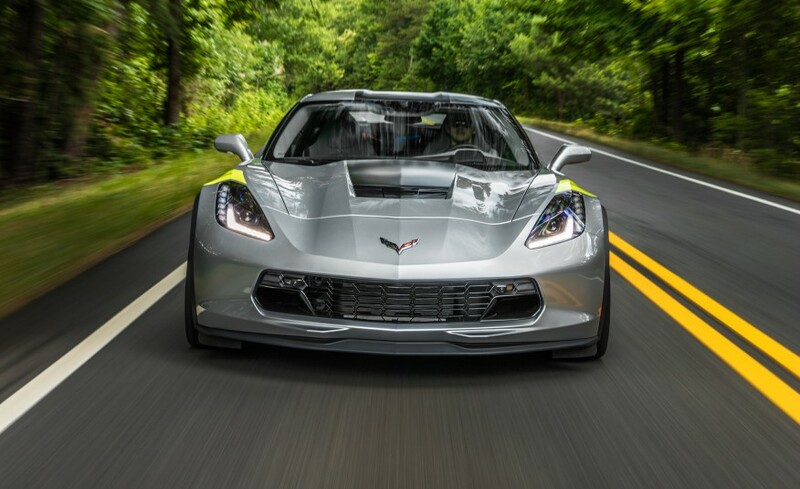 Their test car came heavily optioned: starting with a $66,445 base price, the $7,995 Z07 package, $2,995 Stage 2 aerodynamics package, 3LT trim package ($9,745), competition seats, cosmetic upgrades and more, all ringing in at $95,040. That’s Z06 territory. After all was said and done, this Grand Sport ripped off a 3.8 second 0-60 run, which is 0.1 second quicker than their top time for a base Stingray with the same manual transmission and a 12.2 second 1/4 mile run. With the Z07 package, the Grand Sport pulled 1.18 Gs around the skid pad and an eyeball-popping 129 ft brake rating 70 – 0 mph. Those are impressive numbers! Basically, Car and Driver surmised that the 2017 Corvette Grand Sport is “Gnarly…most gnarly!” We tend to agree. previous Final Production Numbers for the 2016 Corvette Released! Car and Driver Gets Exclusive First Drive: 2017 Chevrolet Corvette Grand Sport!